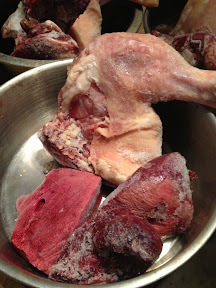 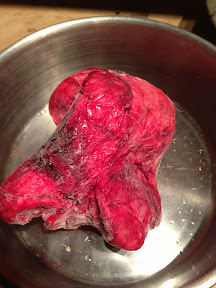 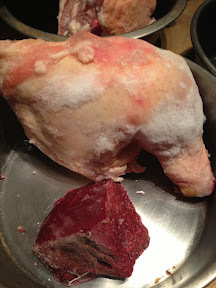 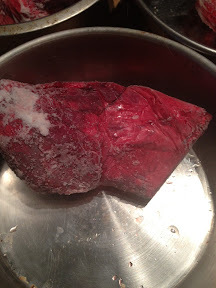 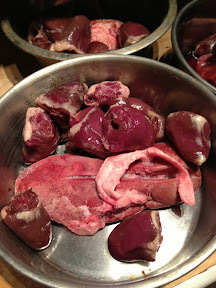 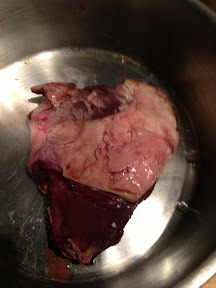 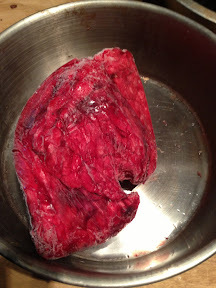 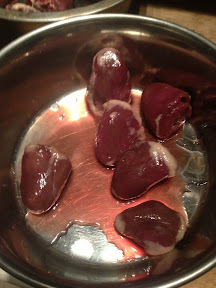 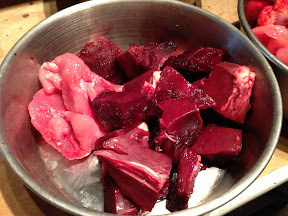 Bison heart, turkey breast chunks. 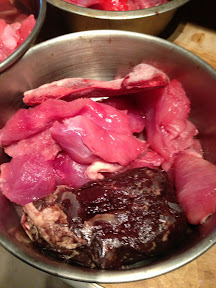 Chicken leg quarter, pork heart, beef liver. 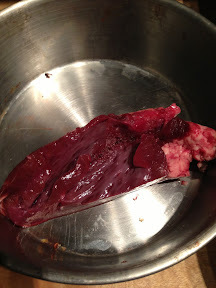 Venison, turkey breast chunks, pork spleen. 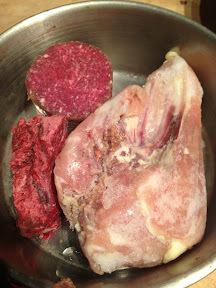 Bone-in chicken breast, ground venison, beef liver. 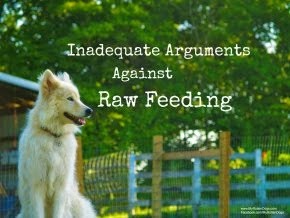 As always, the smaller meals are breakfasts, and the larger meals are dinners.